I still have some of the braised bacon left and although this recipe says lean boiled ham I decided I could substitute for that. So this is from the teaching children to cook chapter so got my daughter in the kitchen to help! We were having this for dinner, it’s maybe not really a dinner dish but more of a lunch or brunch! 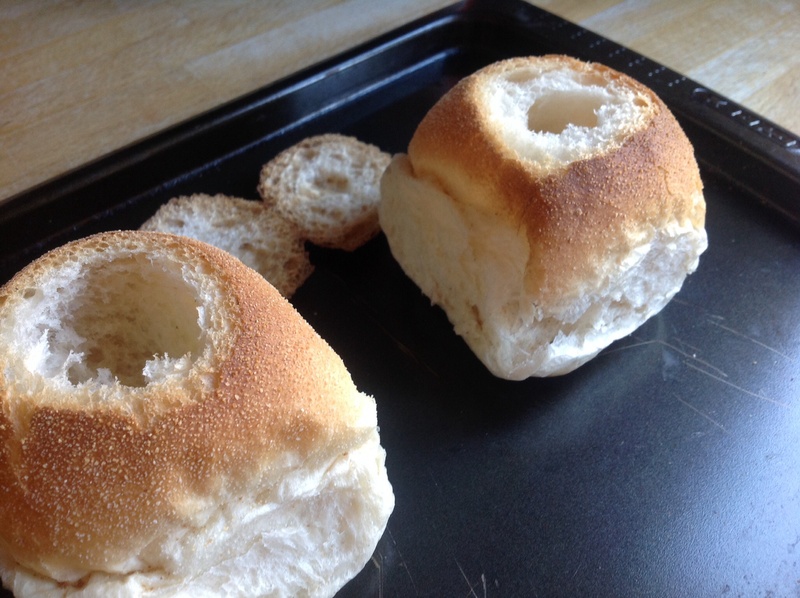 I went to the shop with the plan of buying a really crispy roll like a ciabatta or something similar, but I clocked the crispy Scottish morning rolls and decided they would be perfect!! Once I got them home and started to remove the insides I thought they were maybe a tad soft round the edges. So rather than remove too much of the inside I kind of used my hands to create a hollow! 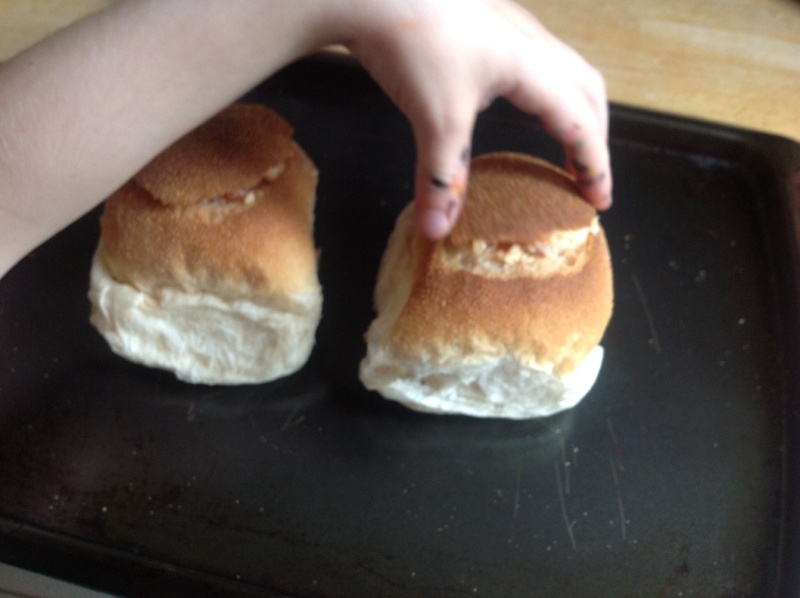 My daughter wasnt too happy that we weren’t actually making the rolls!! Maybe if we’d been more organised we could’ve made some last night! 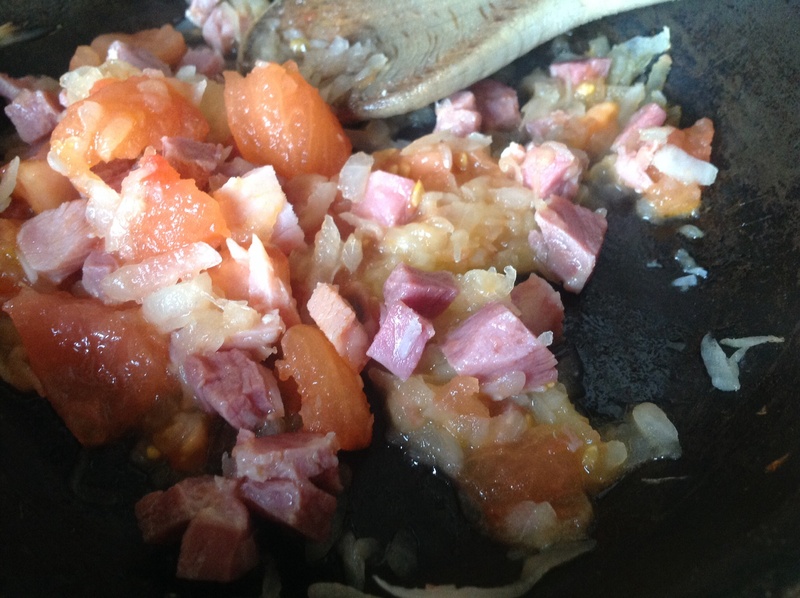 I did the prepping of the tomato, onion and ham. Decided the use of the boiling water and grater increased the risk of an injury! 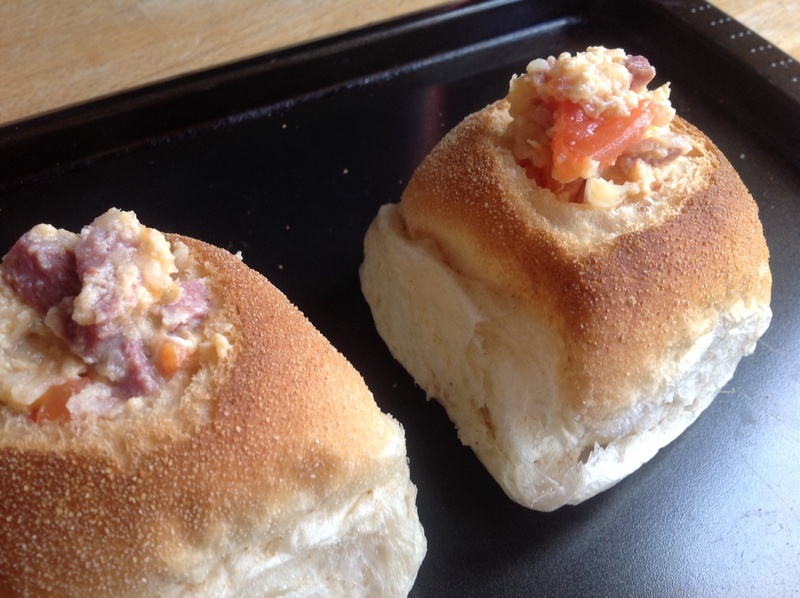 Then the filling is put into the rolls. 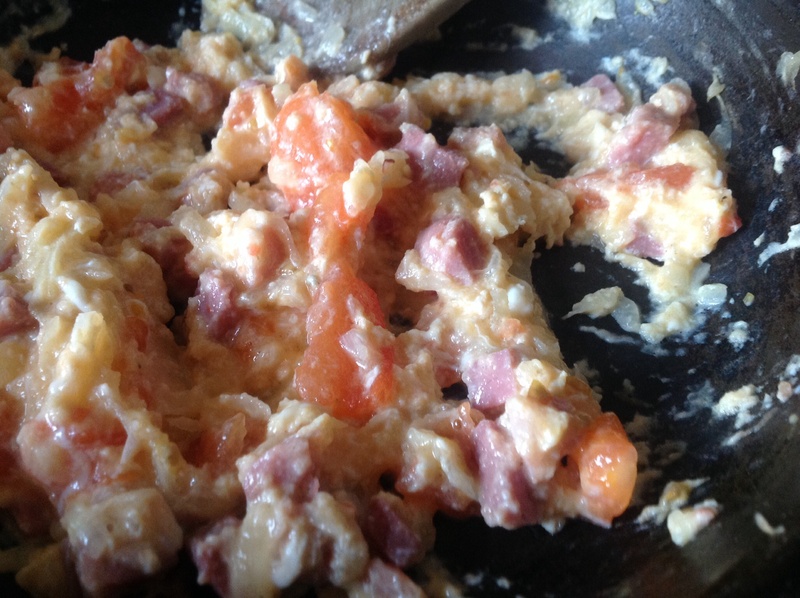 I was only making this for me and my daughter so I had sort of halved everything but then only used one egg and one tomato. I was worried it wouldn’t be enough mix but it filled the rolls just fine. Then the lids were pushed back on, excuse the pen marks on her hands, they are clean and these marks are like a permanent tattoo these days! 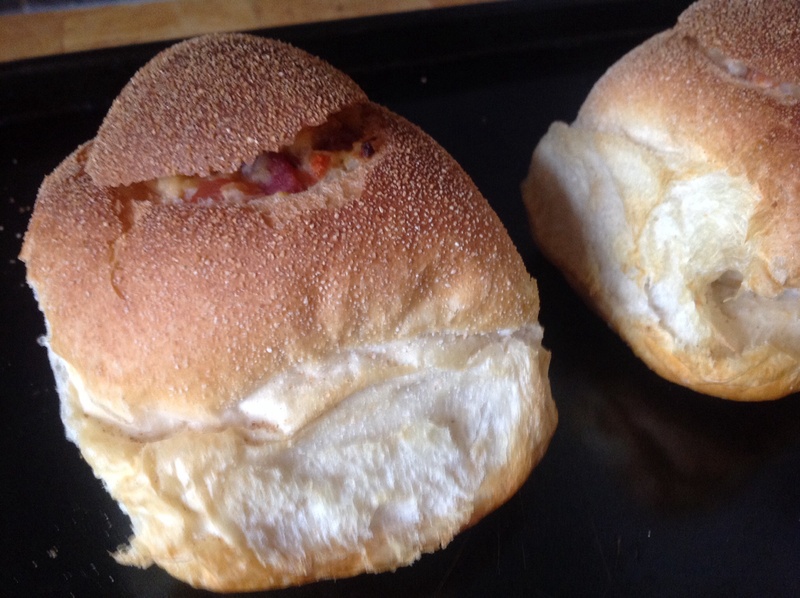 After 15 minutes in the oven the rolls are nice and crisp looking. 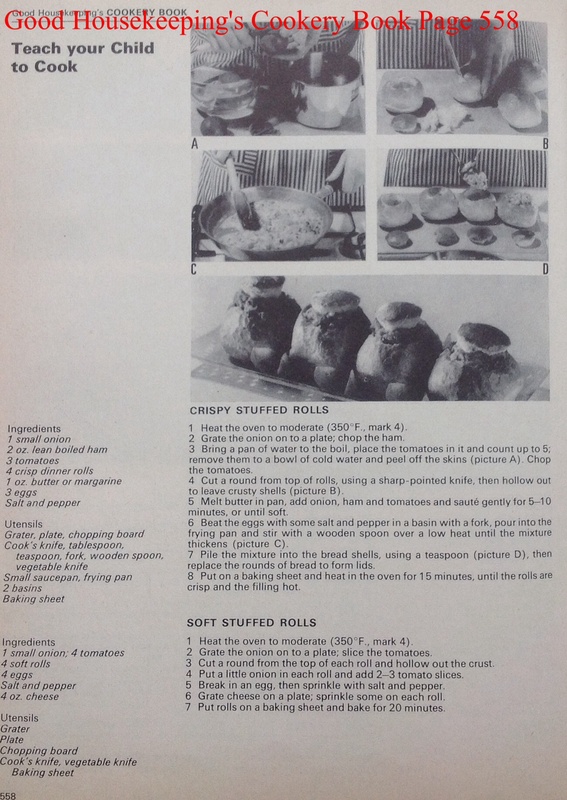 I can imagine there are many 6 yr olds who would make a bit of a fuss if they were presented this for dinner.. I think because she was involved and it is a bit of a novelty thing she tucked in straightaway! 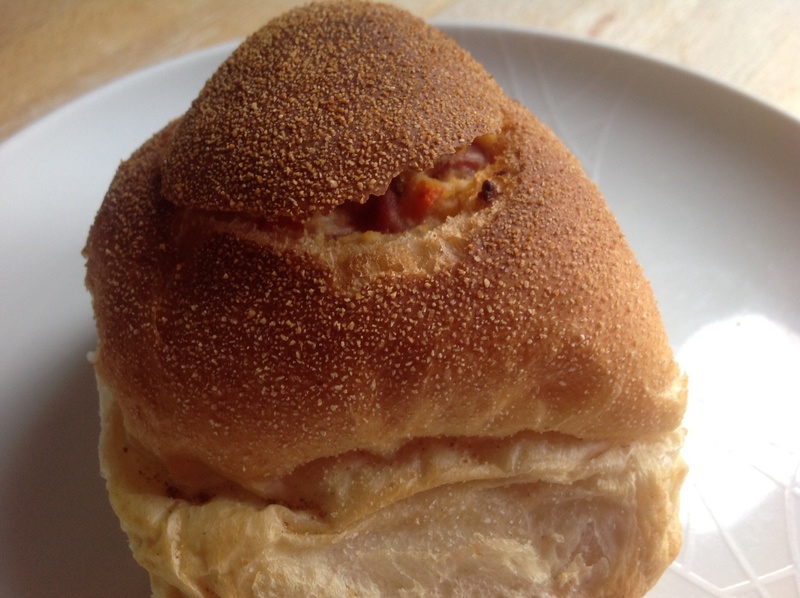 Her criticism was that the roll was too crispy, I had to totally disagree and say that the crispiness is brill! 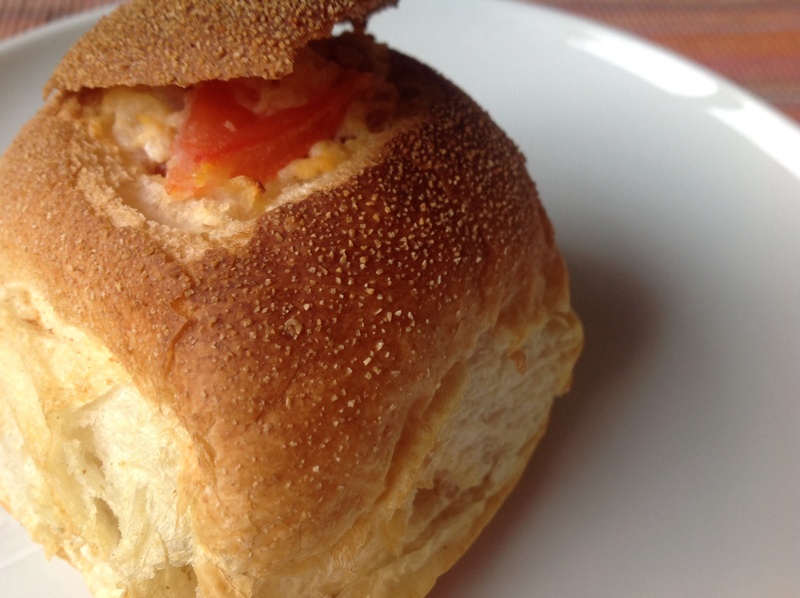 The filling is good and and I thought went well with the crispy roll. It’s not exactly anything fancy and probably more a lunch or breakfast even but we both enjoyed this! Would I make this again? Yes, was good fun but not really a dinner! What a nice idea, looks great! It was good, not really dinner but a good idea for breakfast! Sounds like great fun! It’s always good to encourage children to cook their own dinner. It was! She likes to help a lot, plus it was quite unusual so made it more interesting for her! !